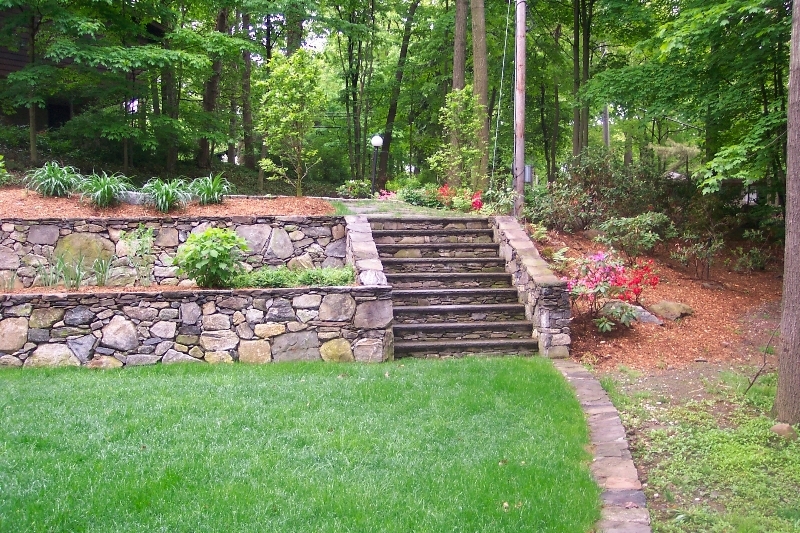 A series of terraced garden walls and planting beds were created to provide access and connection to a new installed lower lawn. 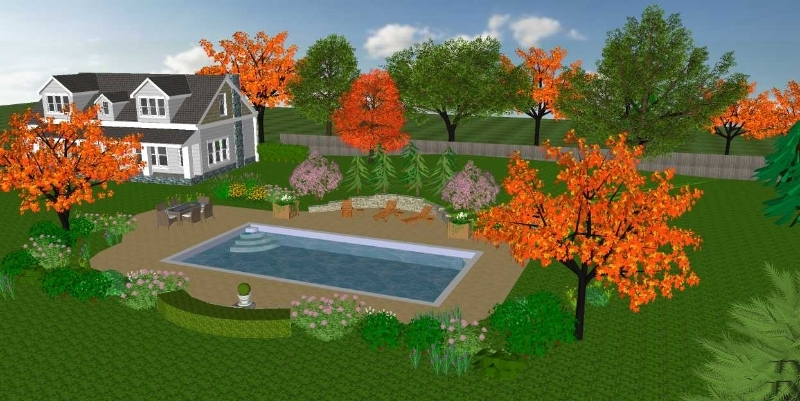 A curved deck and stairway was also created to give function and connection to the interior spaces. 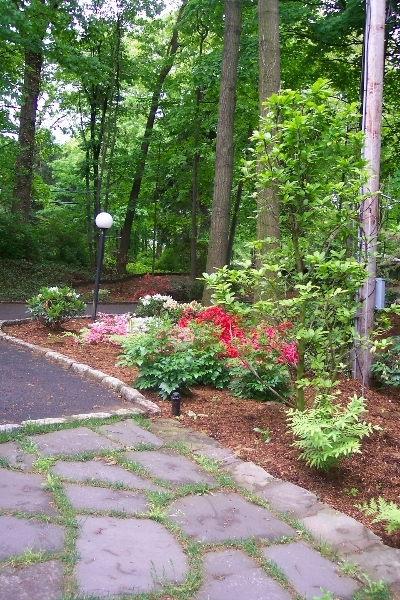 Extensive planting and lighting were incorporated to create a unique entrance and still provide the feel for being in a natural woodland setting. 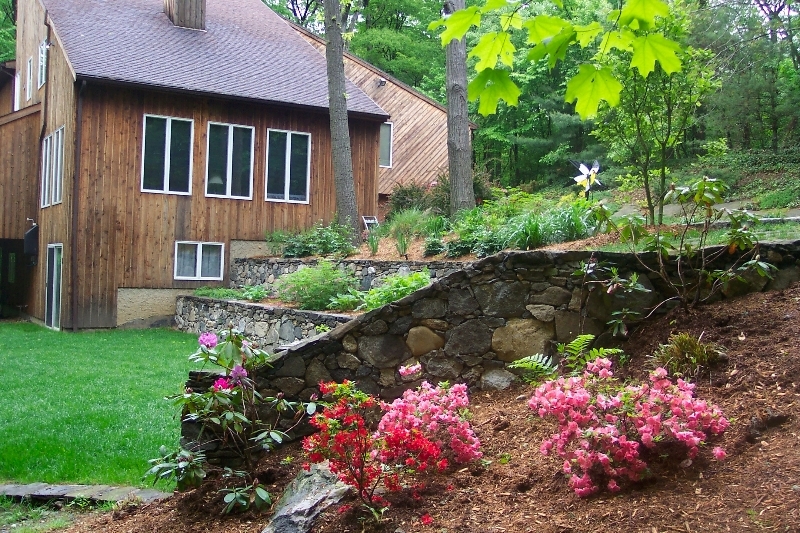 Native plants, like ferns and lily of the valley were chosen to flank the driveway and provide the look of an open wooded under story garden. 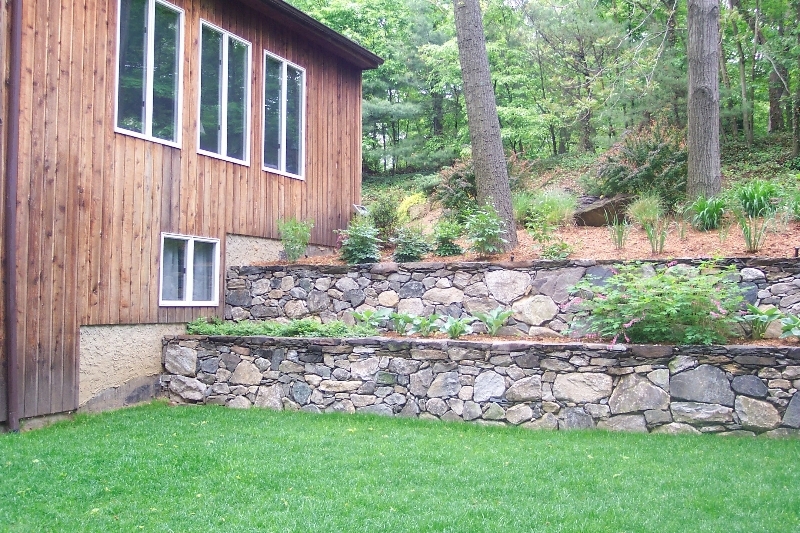 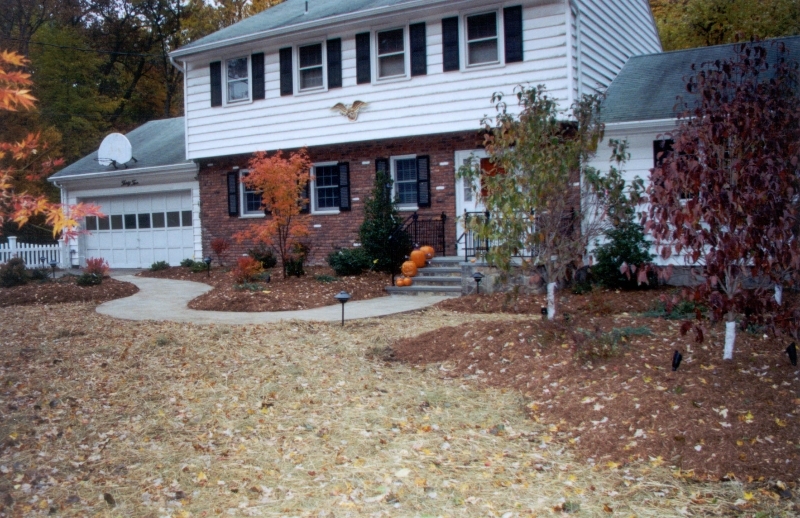 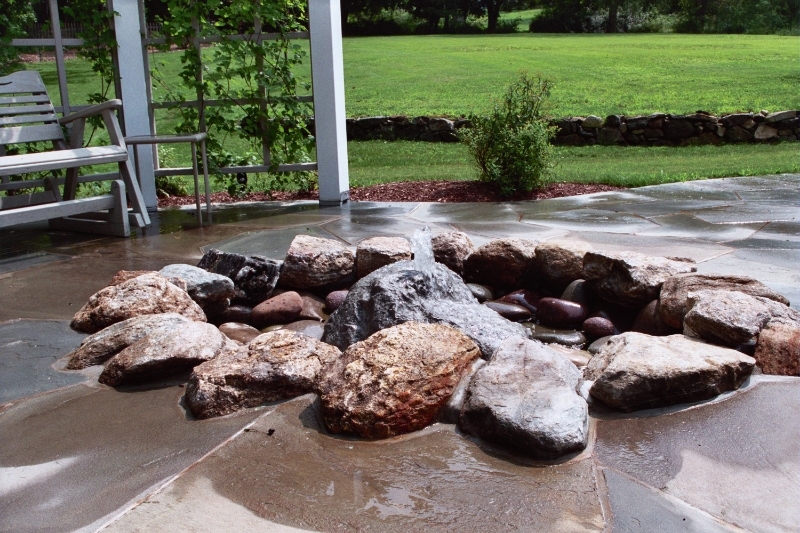 The exposed rock ledge adjacent to the house was planted with pacasandria to retain the soils and create planting pockets for additional perennials and annuals.